Forty-one-year-old Karpagam from K G Halli is seated on her bed in the brightly lit ward of the Victoria Hospital. Her left leg was amputated below the knee. The hospital bill shows she owes Rs 35,000. “Doctors say they need to amputate my right foot because it is affected by sepsis too. I don’t know how much more my hospital costs will rise by the time I am discharged,” Karpagam says. Karpagam works alone, ironing clothes for a living. She is unable to obtain the government’s Below Poverty Line (BPL) card. She alleges corruption, which makes her ineligible for the various healthcare schemes. On Sunday, the World Health Organization (WHO) marked the International Health Day, themed universal healthcare. Karpagam’s story reveals the flaws in the state’s various healthcare programmes offered to nearly 115 lakh BPL families and 19 lakh families above it. In February, N T Abroo, executive director, Suvarna Arogya Suraksha Trust (SAST), which oversees the Vajpayee Arogyashree Health Assurance Scheme for the state’s poor, explained Karnataka is making good progress towards what medical professionals call the ‘golden triangle’, hoping to raise the standard of living and nutrition levels. Altogether, seven state government schemes since 2003 cover a large part of the population, including accident victims, schoolchildren, BPL-card holders and families of farmers who committed suicide. According to Abroo’s figures, these healthcare programmes cover 1,516 medical procedures and until February 2019, nearly 34,288 cases proposed for a healthcare scheme at government hospitals and 25,498 cases in private hospitals had been approved. Some patients, however, complain the coverage does not include all costs such as testing, beds, drugs and certain procedures. T S Sampangi, a 58-year-old rickshaw driver who admitted his wife, Radha, at the Victoria Hospital for tumour removal, says despite both of them being under the Arogya Karnataka Scheme, doctors recommended using liposuction to reduce Radha’s weight to improve her respiratory functions. 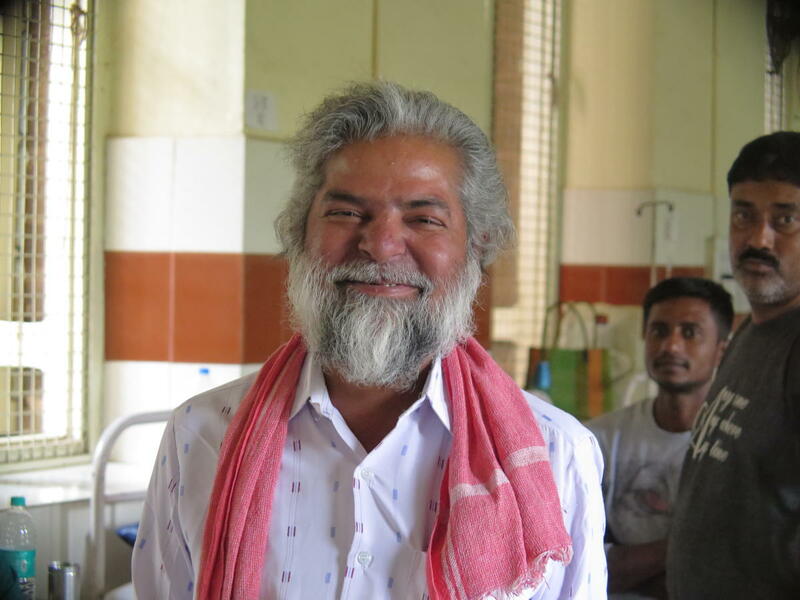 “That procedure, which is not covered by the government, costs Rs 25,000,” says Sampangi, adding he may need to take a loan to pay off the hospital. An audit of medical data earlier this year showed that “nearly 40% of healthcare costs are borne by loans,” which further deepens poverty. ♦ Ayushman Bharat/Arogya Karnataka scheme provides coverage of up to Rs 5 lakh per family per year for eligible BPL households and up to Rs 1.50 lakh per family per year for general households. ♦ Under the Vajpayee Arogyashree scheme, eligible patients have to pay only half of the “extra” hospital costs. ♦ In total, there are 115 lakh BPL and 19 lakh APL families in the state. ♦ The sanctioned budget for the 2019-20 fiscal year is Rs 1,360 crore, of which the Karnataka government’s share is Rs 950 cr and the Centre’s share is Rs 410 crore.